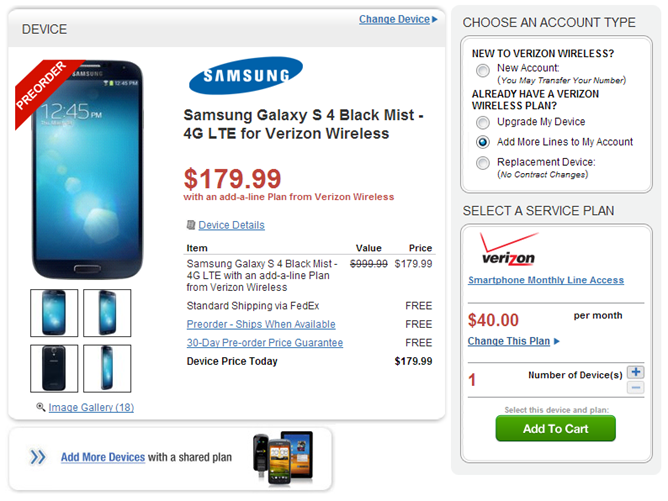 If you're a Verizon Wireless subscriber looking to get your hands on a shiny new Galaxy S4 come release day, you're probably weighing your various pre-order options already. Well, Wirefly's one you can toss into the mix, and with a half-decent deal - their Verizon GS4 is just $179.99 for new account or upgrades, $20 less than Verizon's price. Here's the white version, and here's the black. Even better, Wirefly doesn't charge sales tax for many states, and that's actually a big savings, since generally you're charged the full MSRP of the phone for sales tax. In California, for example, tax in my region would otherwise be over $60 if I were to buy from Verizon. Any way you slice it, this is a pretty great deal, and shipping is free via FedEx. Head over to the Wirefly links below to take advantage of this offer now. 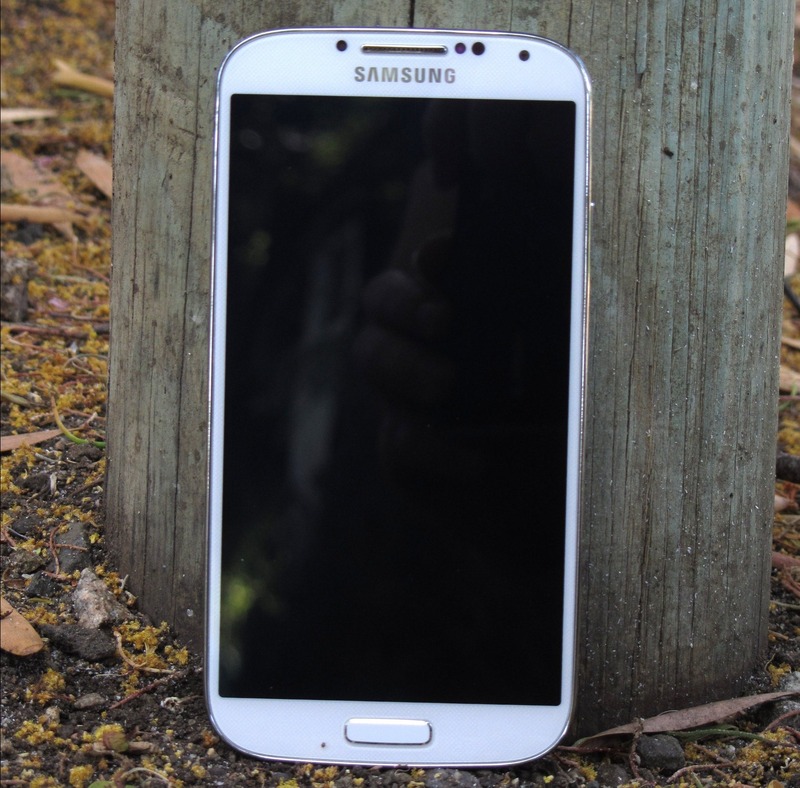 The Verizon Galaxy S4 is expected to ship on May 30th.